Confused and bewildered by all the ads and blogs. Should you buy a Membership or Fractional ownerships–or do you need to buy Prepaid Jet Cards to get a better deal. It sounds complicated, however we are here with some tips to keep it simple and let you compare options and prices. The original owners of Private Jet offered a fractional ownership option- this allowed 7 plus owners to share one aircraft, pay for crew and maintenance. This option works well for Sports figures, business travelers who spend a great deal of time in the air. Consider this option when you fly at least 500 plus hours per year! JET CARDS with up front investments of $5,000 to $250,000 are designed for Business Travelers who enjoy the Prestige of a Jet Card. It is a great source of cash reserves for the Private Jet Companies who manage aircraft. Teaser rates will be offered to encourage you to buy a pricey prepaid Jet Card. Most companies will keep your funds in a reserve or escrow account. Be warned in some cases the funds could expire. Over 90% of all Leisure Travelers take advantage of “On Demand Charters”– compare this to a Uber of Lyft ride. You only pay for the costs of your flight. No last minute upcharges or fees. How do you make this work for you! Simply ask for a charter quote from the operator or broker. The moment you see and option for memberships or prepaid Jet Cards- consider other options and rate quotes first! Proceed and ask for the Charter Agreement after you have reviewed you costs and options. Before you sign and pay make certain that you understand the total costs for the Charter including all fees and taxes. Make certain that you check you total bottomline costs. Not sure?—call the Charter Operator or Broker and ask a lot of questions. After all, it could cost a lot of money to fly private. Don’t hesitate to ask for the Tail Number of the Aircraft- this is the information you need to determine who owns and operates the aircraft. Ask one more simple question?—is the aircraft operated by a firm with the ARG/US Gold or Platinum rating. Amongst the safer options in the aviation industry! Don’t overbuy on too many seats, look for a plane which has the number of seats you actually need. If you plan a short flight under two hours consider a Twin Turbo Jet. 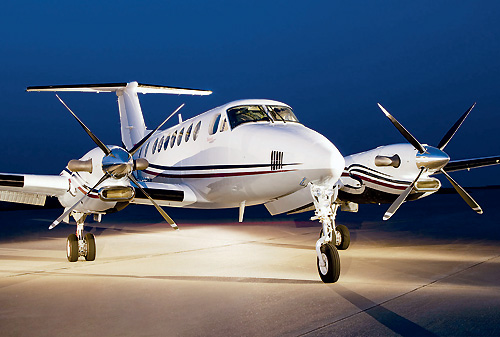 This includes the King Air Twin Turbo with up to 8 seats. Rates start at around $1,700 per hour. Expect a minimum charge for two hours. You will be able to upgrade to light, medium and large cabin jets. It’s smart to ask for multiple quotes allowing you view side by side rates. Yes you can pay via Credit Card— however most firms will charge you a credit card fee which ranges from 3.5 to 5%. Have you bank pay the operator or broker via Bank Wire. In the event you’re planning a long haul trip, feel free to ask our Concierge Team for special perks. This includes discounted tickets in First and Business Class to most overseas destinations. next post: Private Jet Charters, Questions for you!